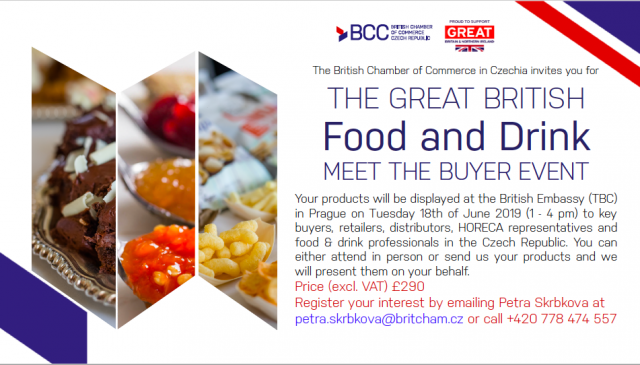 The British Chamber of Commerce Czech Republic is pleased to invite UK companies to showcase the latest trends and products for food and drink. Your products will be displayed at the British Embassy (TBC) in Prague to key buyers, retailers, distributors, HORECA representatives and food & drink professionals in the Czech Republic. UK companies can either visit the trade fair in person or opt to be featured in the presentation along with a sample exhibition represented by the British Chamber of Commerce.